This morning we volunteers were invited to join the ayis taking the younger children for a walk. It was lovely to see all the children and ayis enjoying the walk. We walked past the Green Tea House and stopped on a quiet side street where the children got a chance to sit down on a blanket for a rest and later on have a drink and snack. We then took turns walking some of the other children in the push chairs .We walked back in time for lunch, it was getting very hot outside at this point too. Little John waited eight years to find his forever family. Back at Alenah’s the children had lunch and I started feeding the little frail boy with muscle cramps, but it was very difficult. I asked an ayi if I was doing the right thing. It was really painful to watch him eat and being fed but he does really enjoy his food. We were surprised that he ate a full bowl of noodles!! I hope he carries on and manage to put a bit of weight on!! 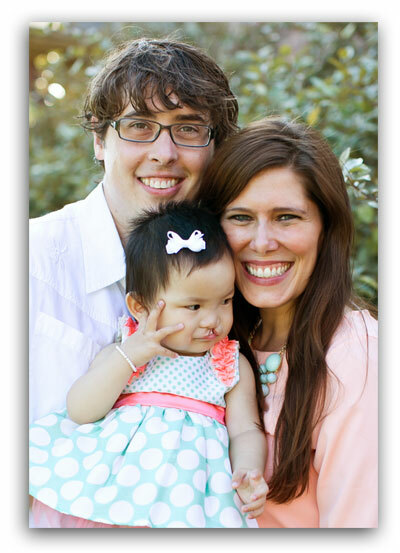 We had some very good news today about John and Li Tao. They have been adopted and we got to see photos and letter of their families. It had us in tears seeing the letters written to John on his 9 th birthday from his family. We are so pleased for John who has been waiting so long for his forever family!! 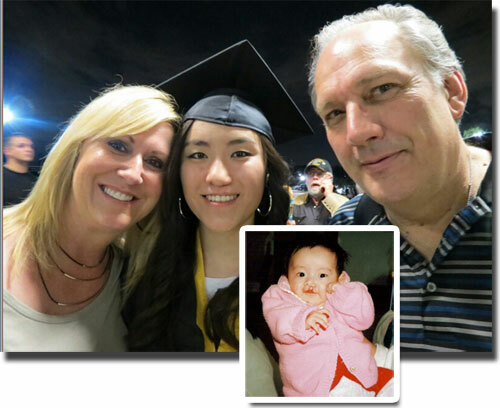 We adopted this beautiful girl from Changshu SWI (Jiangsu) in December, 1994 with the help of Dwyatt and Melody. 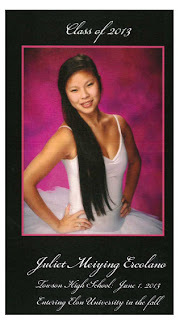 Juliet is now 18 and graduating from high school. She is truly a gift from God and a blessing to all she comes in contact with. Thank you for bringing her into our lives. 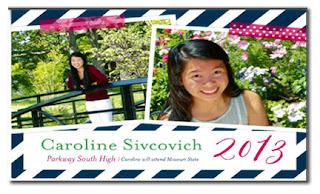 Cindy and Roger Bouwkamp want to tell all our CHI friends and family how proud they are of their daughter Brie who graduated high school this month.
" We adopted our daughter Brie WuYun in 1996 from Kunming when Children's Hope was China's Children.She is a funny, smart and beautiful girl.We wanted to share her photos and what a testimony that cleft lips can be very minor special needs.We have adopted 5...3 from China and 2 from Haiti. Brie was our first and is an inspiration. She is starting college to eventually become an FBI agent." News media in China recently visited with Melody and the staff and children at Alenah's House, our CHI foster home. The children at Alenah's House are all special needs children. 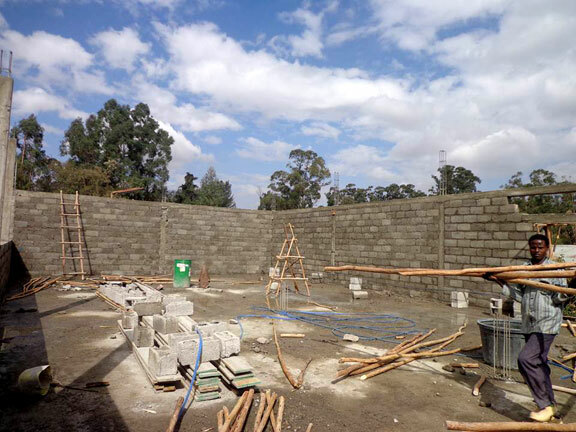 They receive medical care and physical therapy while they are at the home. Most importantly, the children receive a loving connection with the volunteers and staff there. The goals is to provide the kids with a sense of family and connection with the staff and "brothers and sisters" in the foster home. Click on the picture and you can visit Alenah's House too! 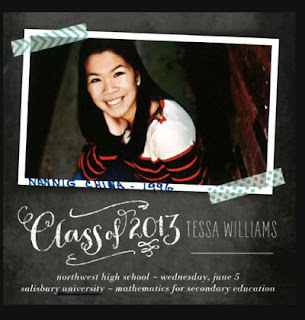 Tessa Williams of Germantown, MD wants to share news of her high school graduation with all our CHI families and friends. Tessa was adopted in 1996 from Nanning, China. Congratulations, Tessa! We wish you God's continued blessings in your unfolding future. "In September of 2011, Lila began to receive preschool education in ordinary elementary school near the institute. She has Chinese, math, music and art classes. 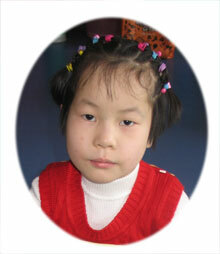 She was very happy and would go to the school with other children happily. Since she has deformity of the right hand, she can only write with the left hand. But this has not beaten her. Other children can write after several times of practice. For her, it would be dozens of times. Sometimes, she would say to the teacher “my hand hurts.” She still insists finishing the homework. Her spirit moved every teacher who teaches her. She is a child who is so persevering. Everyone loves this girl who has a ready smile and fair skin." NOTE - In Chinese schools, children do not write "lefty" no matter what. Lila is available to single moms and to married couples who have applied to Children's Hope and have competed their homestudy.